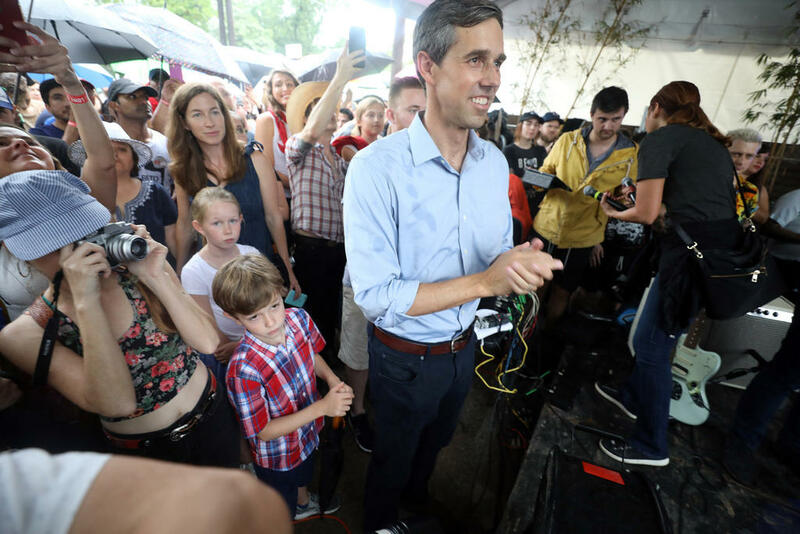 Hundreds of supporters braved summer rainstorms to see United States Congressman Beto O'rourke at a rally in East Austin. The three-term representative is challenging Republican incumbent Ted Cruz for a seat in the US Senate. Congressman Beto O’Rourke (D-El Paso) says he raised a massive $10.4 million between April and June for his campaign to unseat Republican Texas Sen. Ted Cruz. The sum brings O’Rourke’s total raised since he began his campaign to more than $23 million. He ended the first quarter of 2018 with more than $8 million in cash on hand. Meantime, Cruz says he raised $4.6 million in the second quarter. He reports more than $10 million cash on hand. Cruz has also raised about $23.6 million total for his re-election campaign. Neither candidate has filed his official campaign finance reports with the Federal Election Commission yet. Polling puts O’Rourke at least 5 — if not more — percentage points behind Cruz in the Senate race. 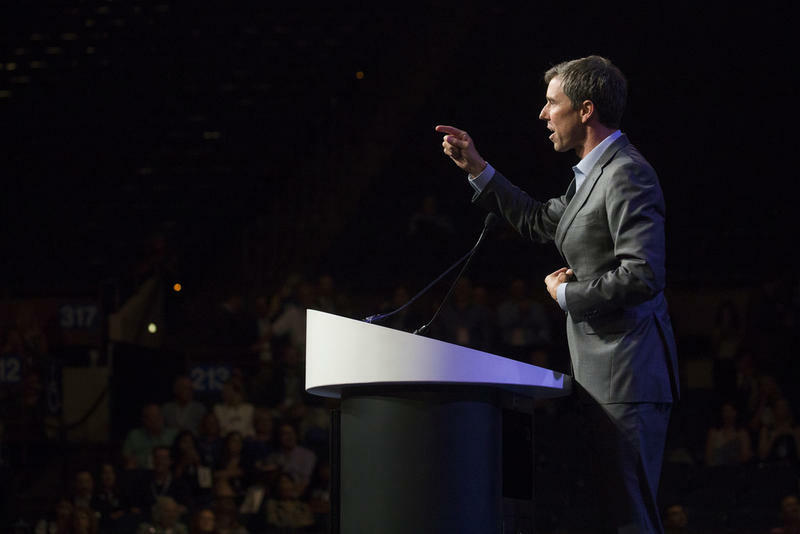 Congressman Beto O'Rourke, the Democratic candidate challenging U.S. Sen. Ted Cruz for his seat, has so far resisted pressure from grassroots groups to call for abolishing the U.S. Immigration and Customs Enforcement agency. The agency has become a lightning rod under the Trump administration. 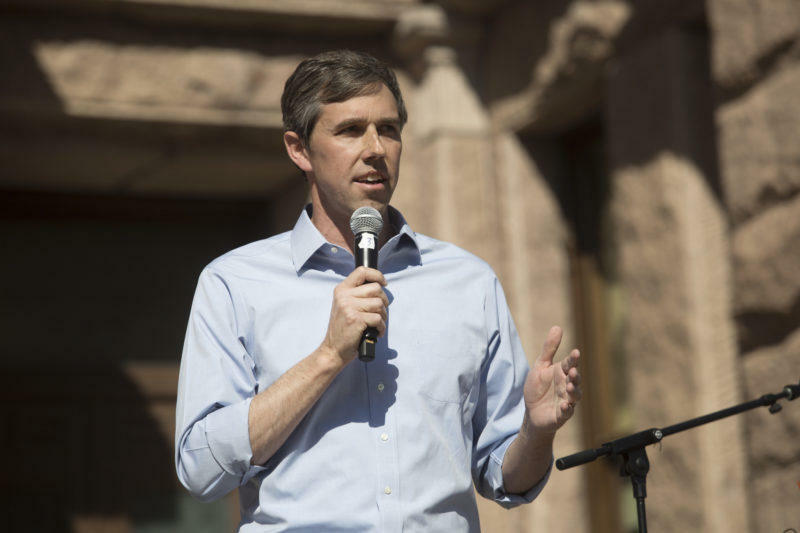 WASHINGTON - U.S. Sen. Ted Cruz has some breathing space from U.S. Rep. Beto O'Rourke, according to a new poll released by Quinnipiac University on Wednesday. Ted Cruz Versus Beto O'Rourke Is 'Too Close To Call.' Not So Fast. 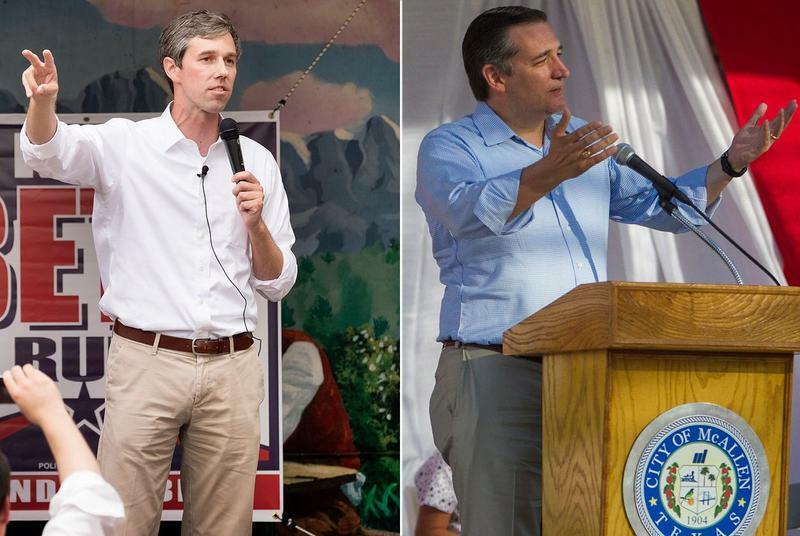 The just-released Quinnipiac University survey of some 1,029 registered Texas voters says incumbent Republican Sen. Ted Cruz can count on 47 percent of the vote, while Democratic challenger Beto O'Rourke has 44 percent. That 3-point lead for Cruz makes this race too close to call, with an election looming in November.